Within six years, the sunny Middle East will have as much solar power as the US has today, and more than Germany. By 2030, it will be approaching China’s current level. After a slow start, this oil and gas-dominated region has woken up to the potential of the sun. Major announcements at the World Future Energy Summit in Abu Dhabi last week, and Vahid Fotuhi’s article in The National last week, testify to this new awakening. The Middle East Solar Industry Association identified 12 gigawatts of solar projects in the Mena region that are under construction or awarded. That will be a huge step forward from 2.9 gigawatts operating at the end of last year. The International Renewable Energy Agency’s report, released during WFES, foresees that the GCC alone will have 65 gigawatts of solar power by 2030. Our studies at Qamar Energy show that, making reasonable assumptions on countries’ sometimes ambitious targets, solar capacity in the Middle East, including Egypt, could reach 56 gigawatts by 2025 and 113 gigawatts by 2030, along with 31 gigawatts of wind power. What are the drivers of this explosive growth? Firstly, the initial renewable leaders in the region have continued to forge ahead. Morocco, Egypt and Jordan all have an active portfolio of new projects and a growing ecosystem of indigenous renewable developers and engineering contractors. The UAE’s new Emirates Water and Electricity Company will begin tendering in the first half of this year for 5GW of solar. 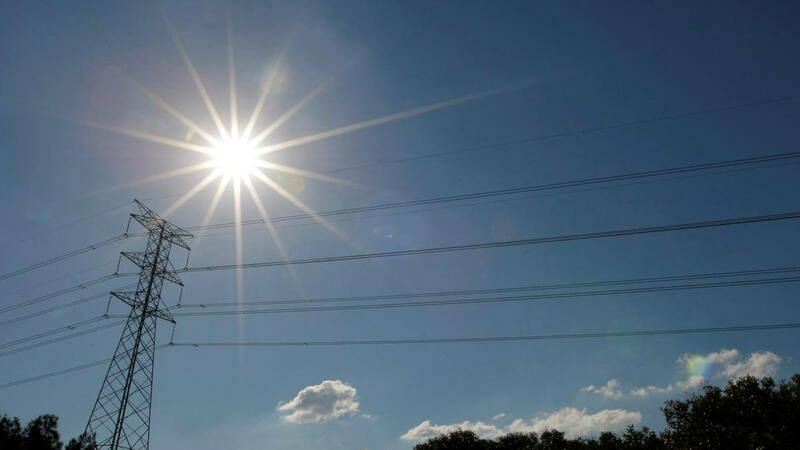 Dubai Electricity and Water Authority has been accelerating its solar progress, having achieved the world’s lowest cost for concentrated solar thermal power, it plans to tender a second plant at the start of this year. It’s not just large-scale projects. Rooftop solar installations on industrial and commercial buildings have become increasingly popular, as policies allow users to feed surplus electricity back into the grid. Dubai has its Shams scheme and Oman the Sahim programme. At the moment, residential electricity tariffs in the UAE are still too low for this to be attractive to most villa dwellers, but this may change as more companies offer installations, and as they become standard for new construction. These countries have proved that solar and, in the right locations, wind can achieve highly attractive costs. Competitive tenders and low-cost financing have driven intense innovation between developers. This has made renewables cheaper than the fuel consumption of a gas-fired plant, even with relatively cheap gas, and certainly cheaper than oil. Even if gas turbines have to be retained to meet night-time demand, the overall combination is lower-cost. Renewables reduce carbon dioxide and other pollution, save gas and oil for industry and export, and boost energy security. Secondly, spurred on by the example of the early adopters, the other big power consumers in the region are turning to renewables. Key among them is Saudi Arabia. Its latest ambitious plans today build on the kingdom’s pivot towards embracing new forms of energy with the King Abdullah Centre for Atomic and Renewable Energy. KA Care’s plan in 2013 was for 54 gigawatts of renewables by 2030; the National Transformation Plan of 2016 replaced that with 9.5 gigawatts by 2023; in March 2018, the kingdom announced a venture with Softbank for 200 gigawatts of solar by 2030; and now the Ministry of Energy’s renewables offices has returned almost to the starting point, intending 59 gigawatts by 2030. However, the new Saudi push seems much more solidly based. The country has begun work on its first large solar plant, Sakaka, at a record low price. At WFES, it confirmed the award of the Dumat Al Jandal wind project to a joint venture of Masdar and EDF, again at a record-breaking cheap price. It now has a near-term target of 9.5 gigawatts of solar and wind tendered by 2023, which hopefully should keep it on track. Saudi energy minister Khalid Al Falih maintained at Abu Dhabi Sustainability Week that renewables would be unlikely to displace oil. Yet his country’s plans to boost renewables and gas are intended to “virtually eliminate” oil from power generation, knocking out almost 1 million barrels per day of crude, fuel oil and diesel consumption over the next decade, a not insignificant hit to world demand. Alongside the Saudi push, other regional countries are waking up to the possibilities. New Iraqi electricity minister Luay Al Khatteeb wants 0.5 gigawatts installed annually. Oman, after a slow start, has invited bids for large solar projects, with its state power procurement company looking for 2.6 gigawatts of renewables by 2024, and Petroleum Development Oman tendering for 0.1 gigawatts, as well as large solar thermal projects to make steam for extracting heavy oil. Even communities in war-torn Yemen are installing local solar panels. As the solar generation booms, it will bring new challenges, particularly meeting demand during the early evening. Solar thermal projects can store heat in molten salt to generate through the night. Other options include combining batteries, pumped storage in dams as with Dewa’s Hatta project, interconnections of countries in different time zones, and varying customer tariffs to reward them for using electricity at off-peak times. The laggard countries just have to copy the policies that have already proved successful and be realistic that they will not achieve world record costs immediately. Individual states may go faster, or slower, unsuitable investment conditions may slow progress in places, but overall there is now a robust regional solar industry. Solar momentum is now unstoppable.